Are You A Lover Or Fighter? 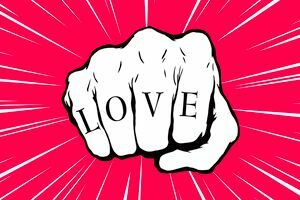 A fun quiz that will truly make you think outside the box.Where do you fall on the grid of life-a lover or fighter? Or maybe you feel like you're both at times?Take this quiz to find out! Do you create chaos or peace in the world? In other words, are you a lover or a fighter? Do you most often find the good in things and people or the bad? Answer 29 interesting questions to help learn if you are a lover or a fighter. We've all experienced moments in life where we have lost our cool per say. Are you a lover or a fighter?